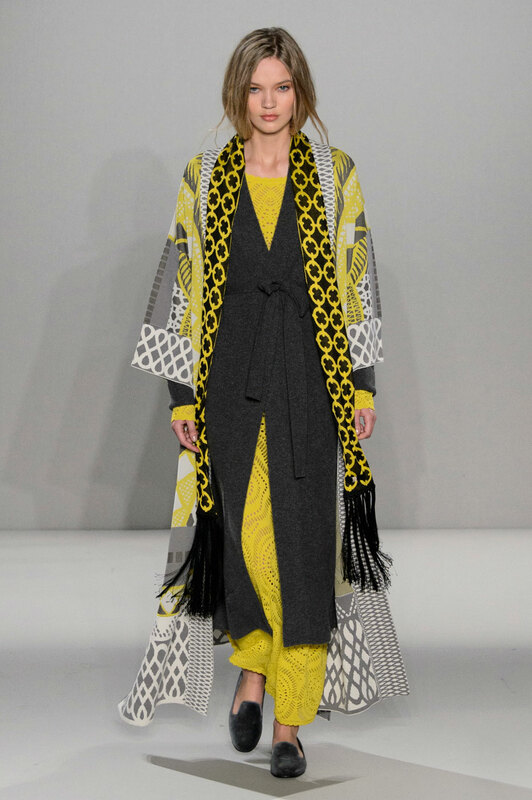 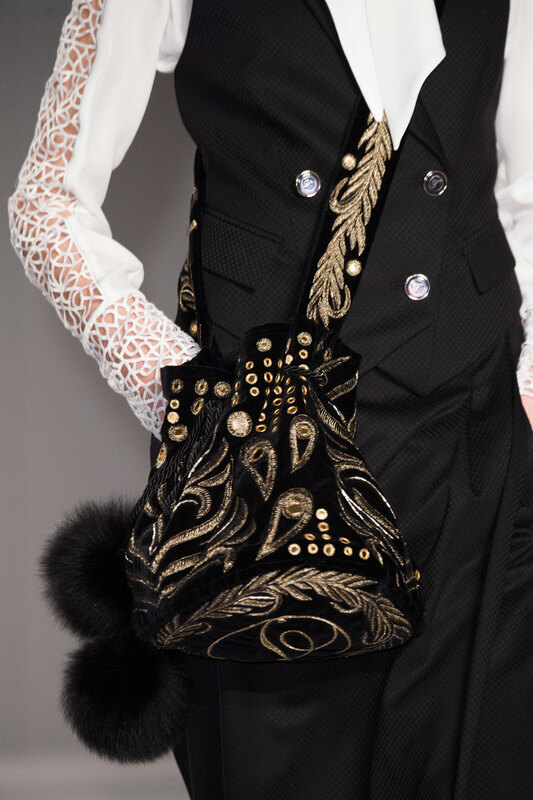 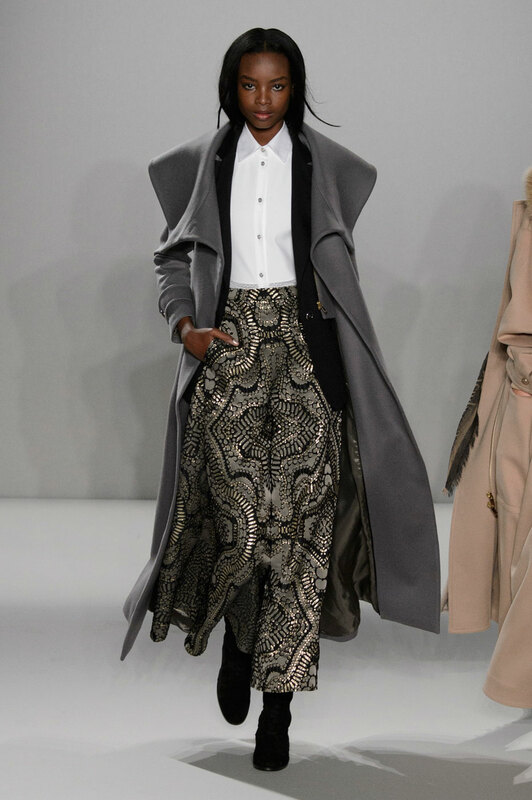 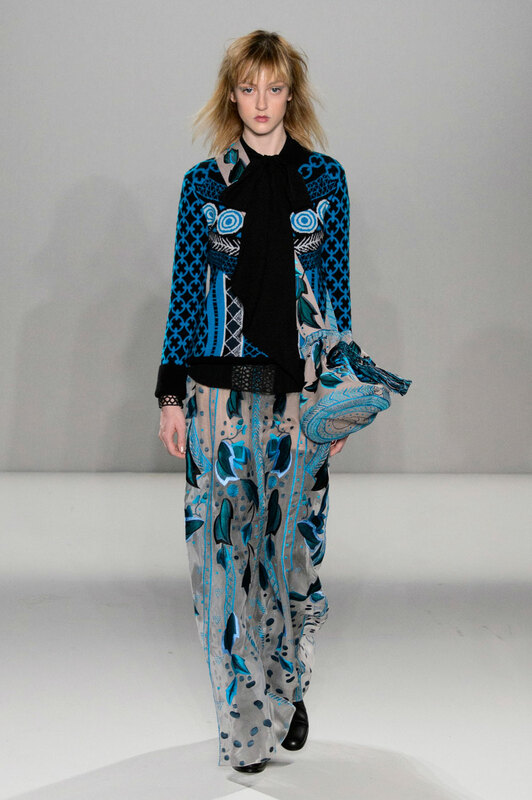 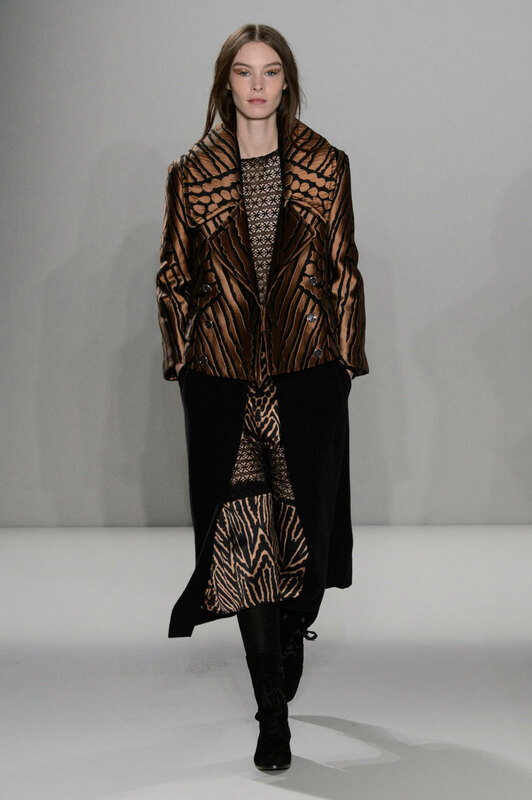 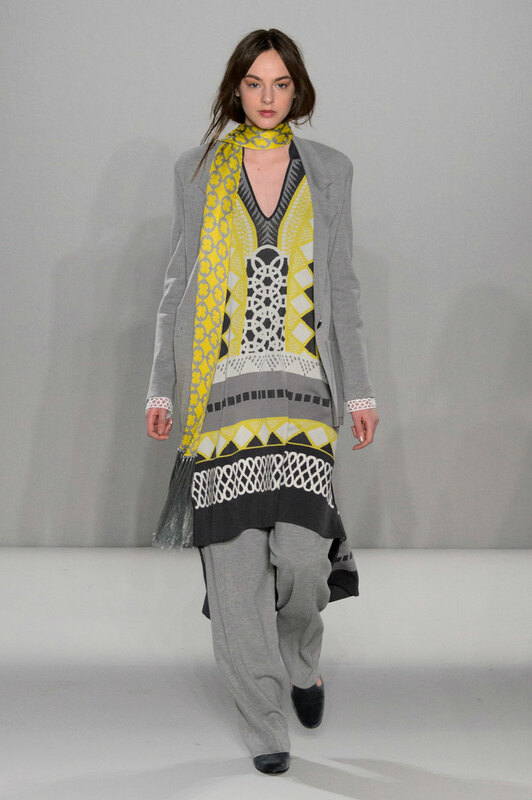 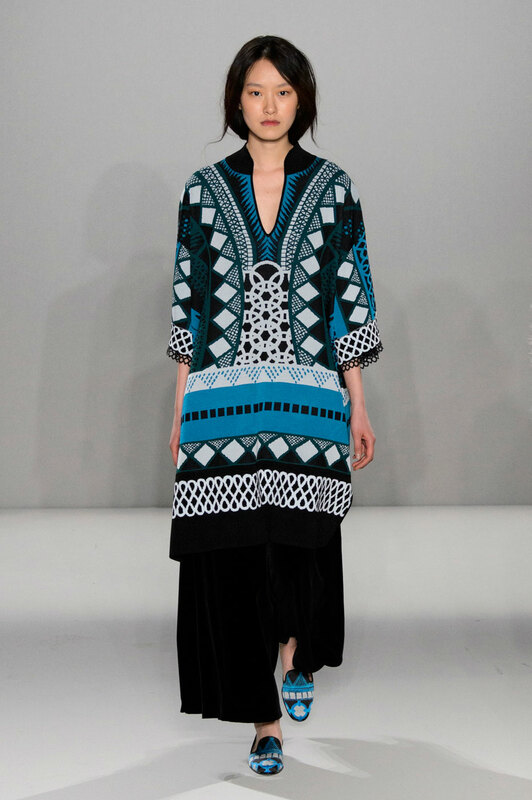 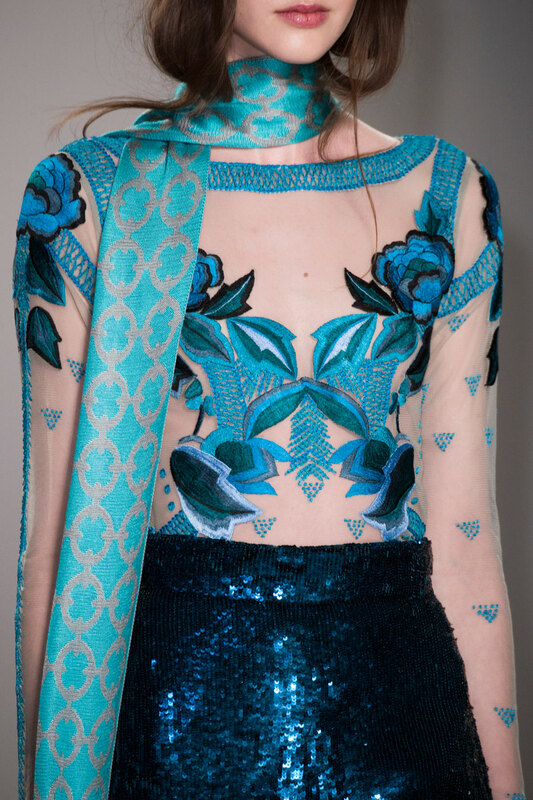 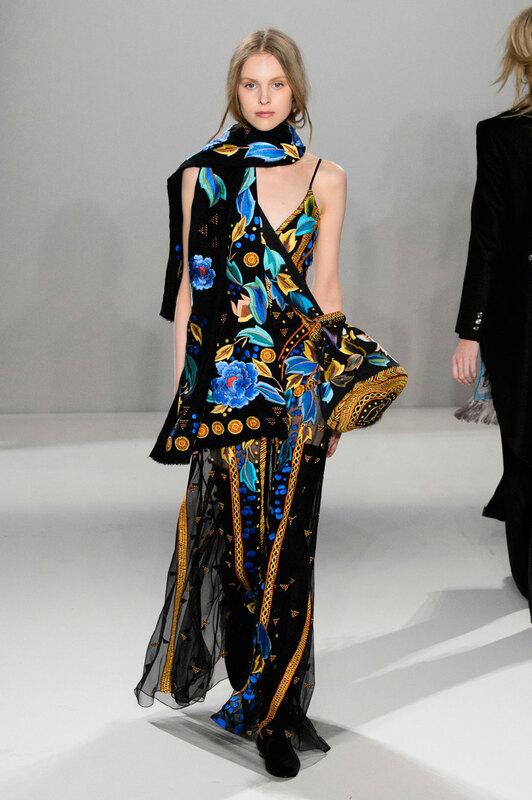 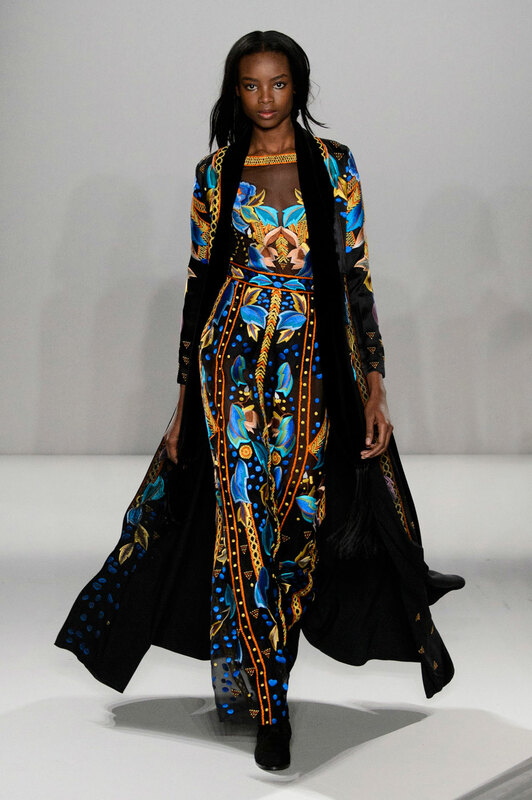 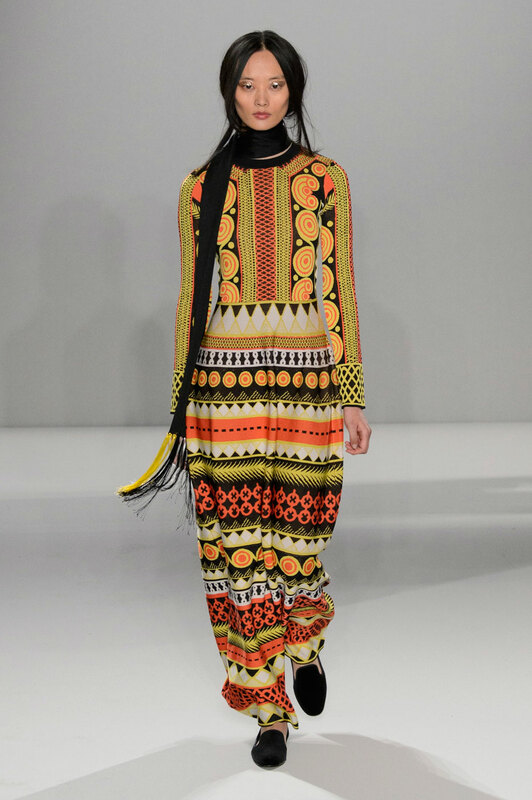 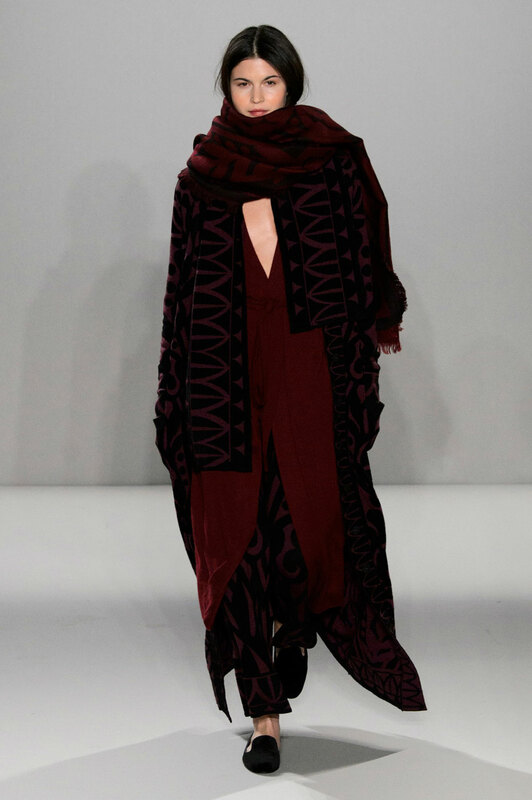 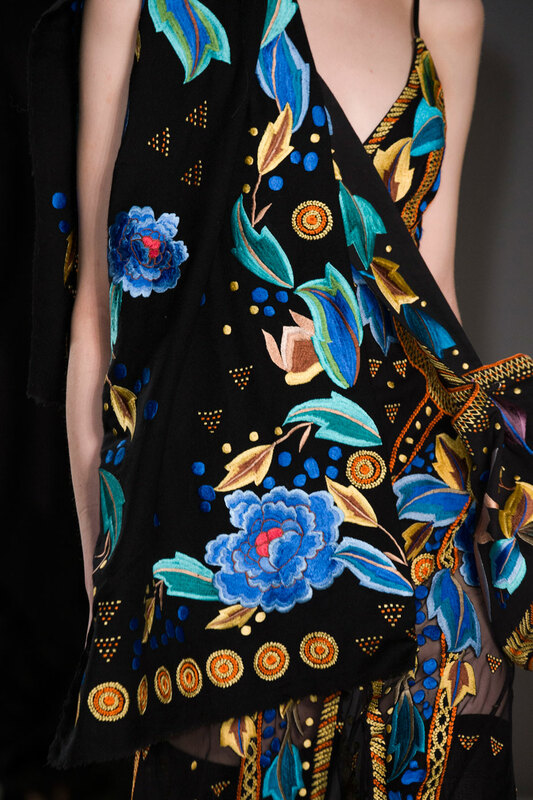 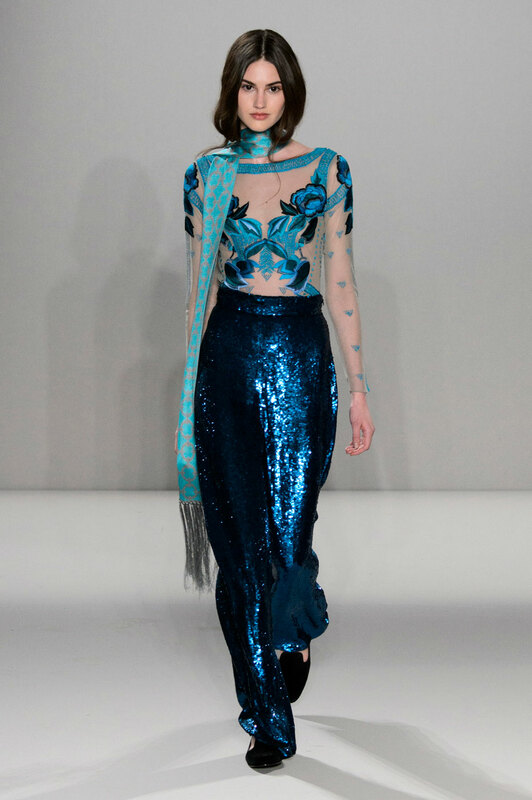 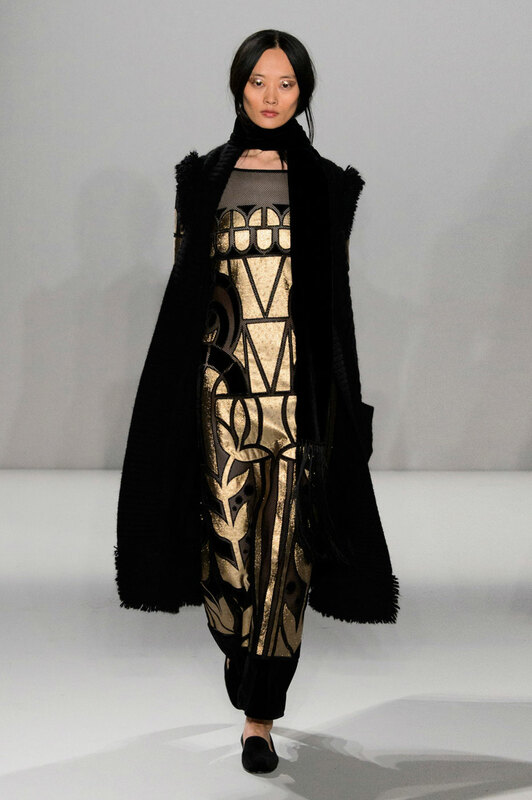 Temperley London Women Autumn-Winter 2015 – Taking the lead as Alice Temperley’s ready to wear collection descends down the catwalk, today marked Sophie Dahl’s return to the London runway for the first time in ten years. 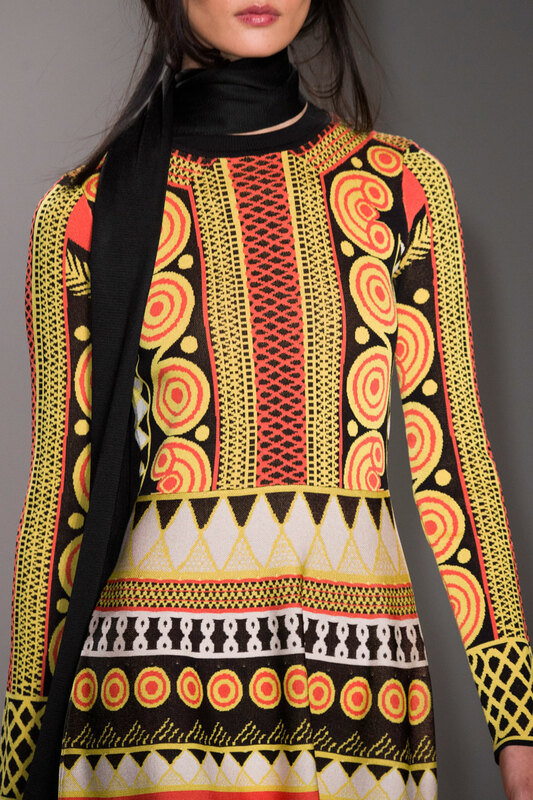 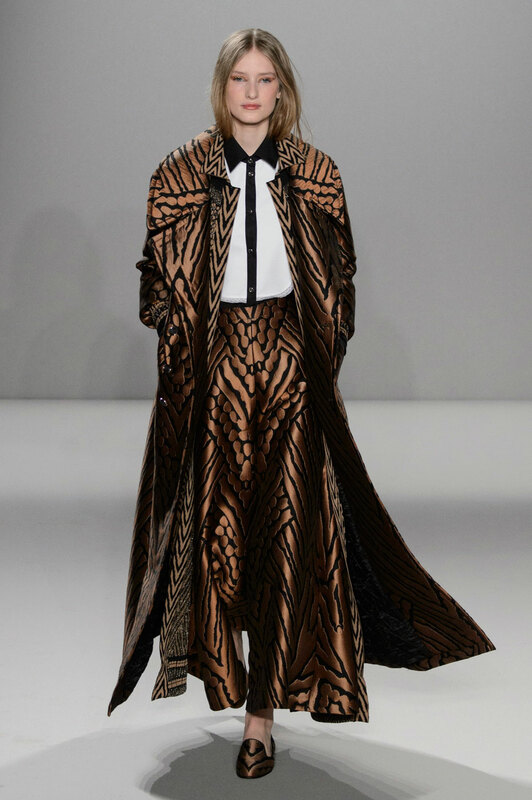 In a collection defined by luxury and decadence, Temperley’s Autumn and Winter are seasons shaped by tribal prints, winter whites and a touch of pure Bohemian glamour. 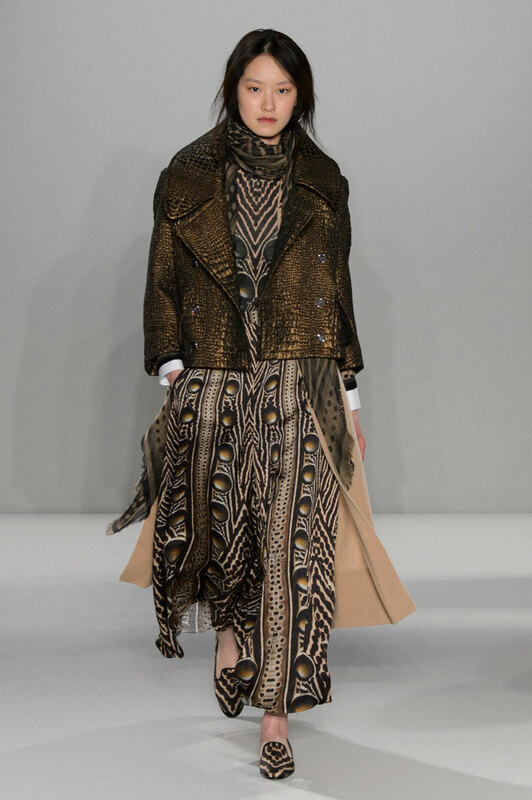 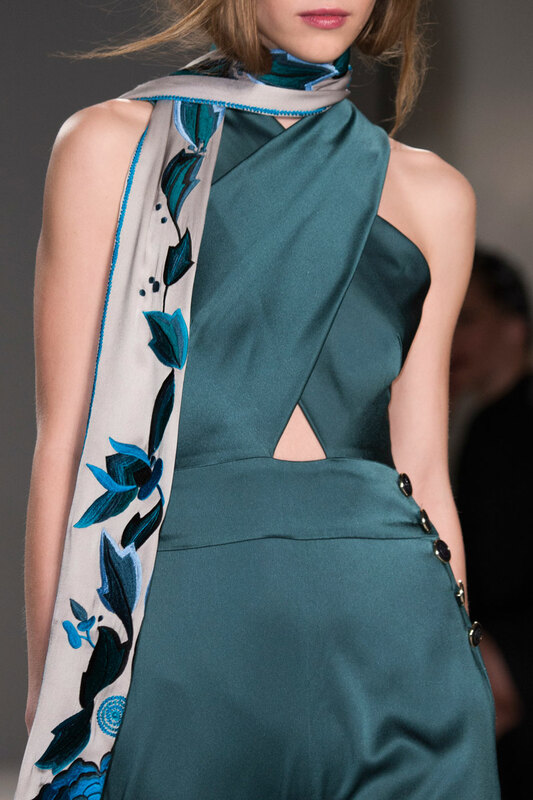 Combining crisp colours with delicate cuts and textures, the collections use of intricate embellishments upon relaxed silhouettes offers a refreshing projection of Autumnal and Winter attire, whilst the soft flowing fabrics of long overcoats and maxi length dresses left audiences mesmerised by such an ethereal line. 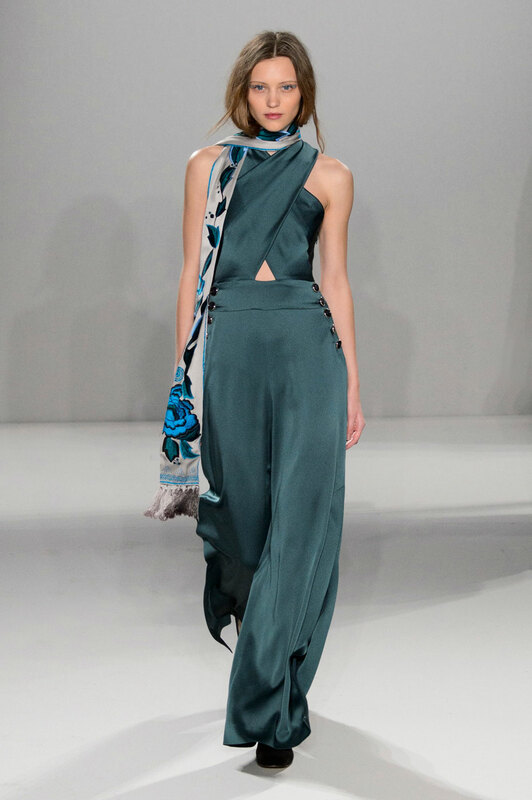 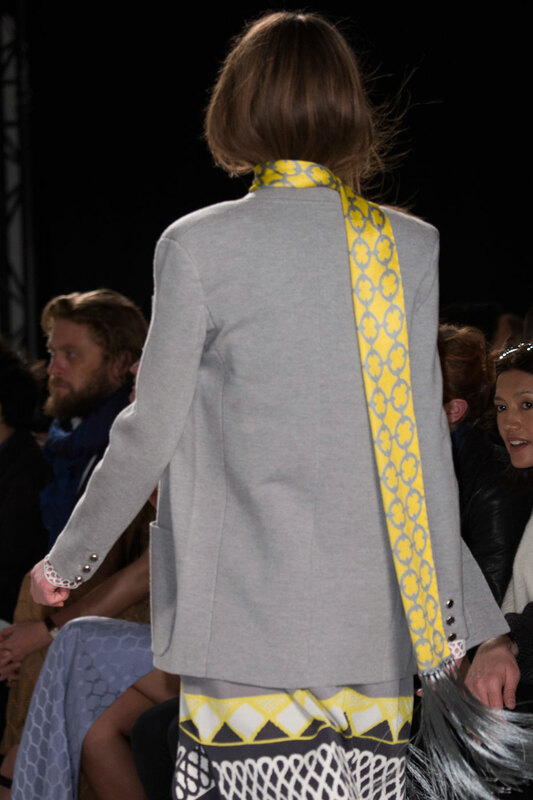 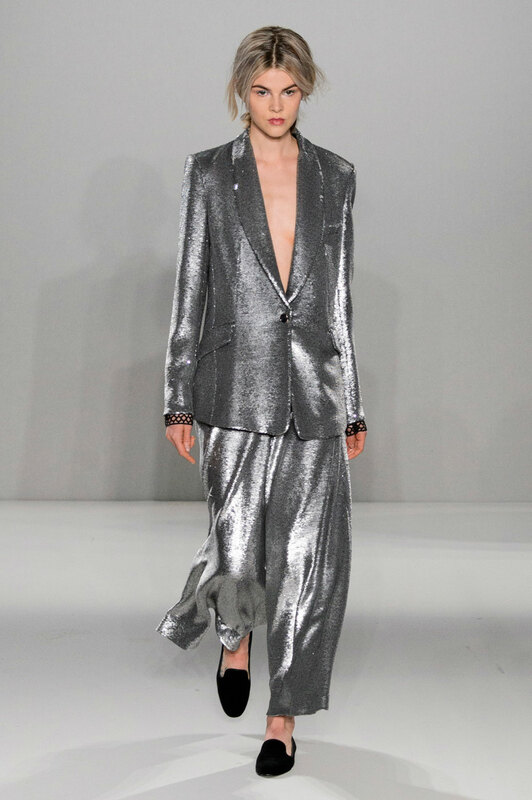 Blazers worn with palazzo pants and velvet slippers offer a relaxed, seventies inspired approach to work wear whilst the use of turquoise, gold and silver dashes within designs projects the image of a sophisticated female traveller. 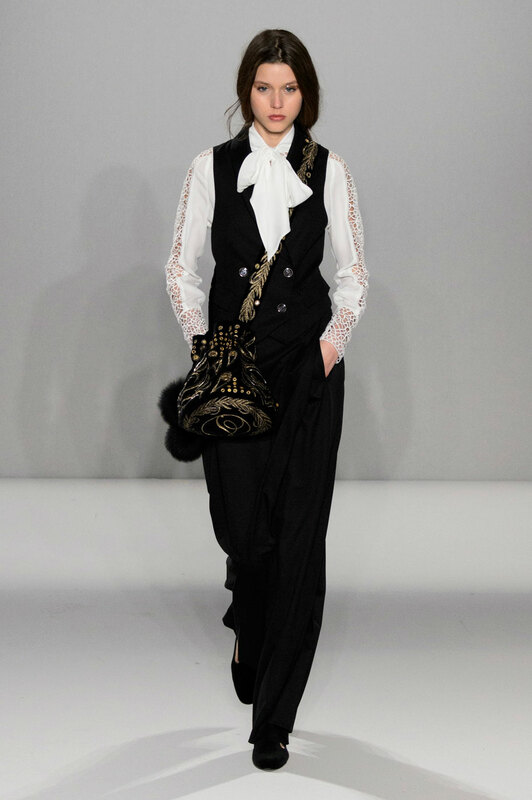 Today’s line shows the brand’s woman is not limited to skirts or dresses and if in fact they want to wear a culotte suit or masculine trousers then Alice Temperley will let her. 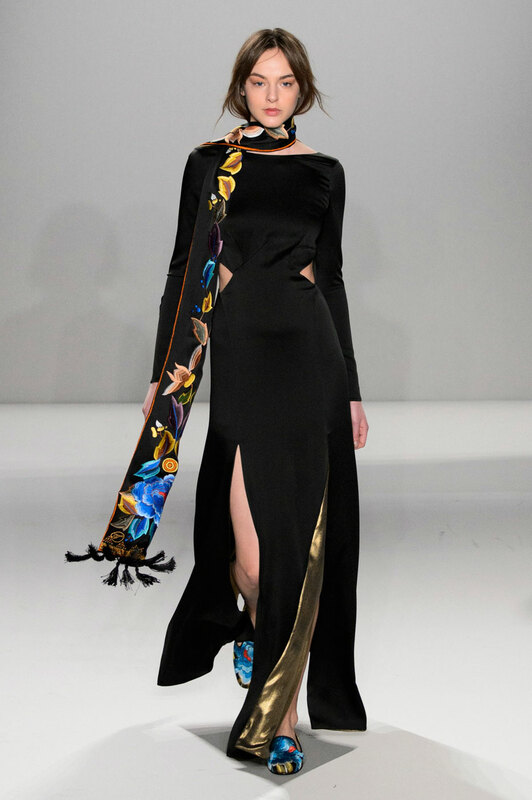 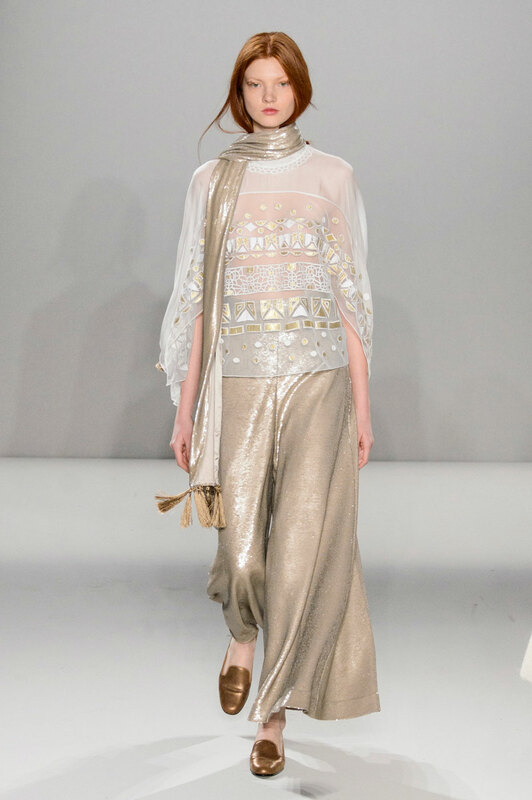 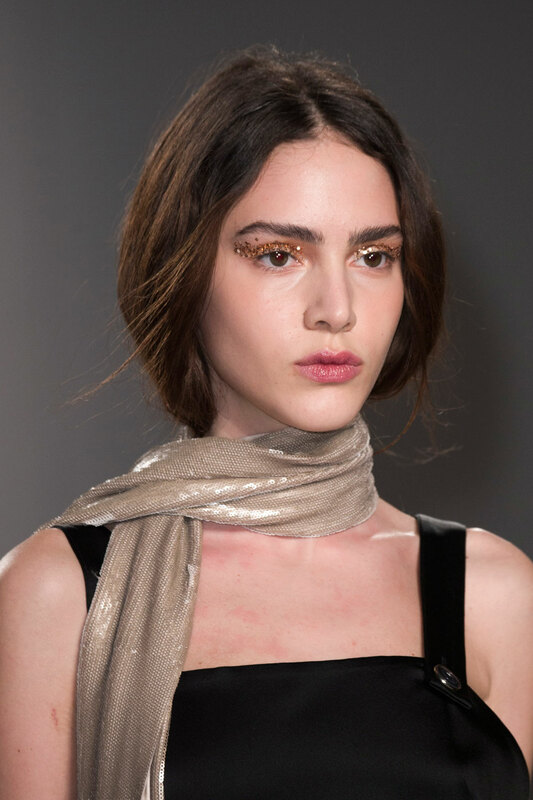 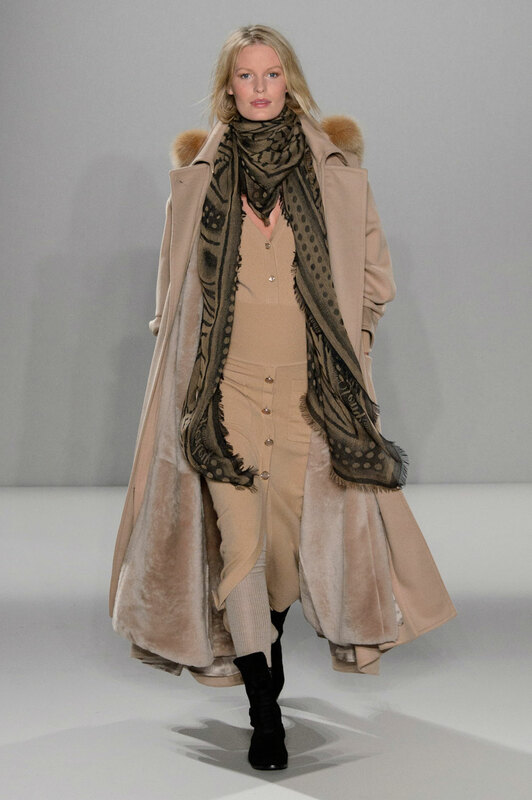 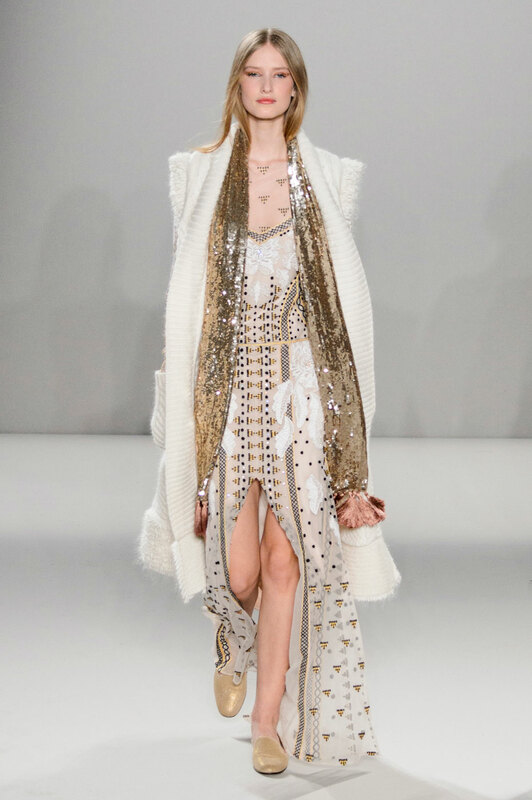 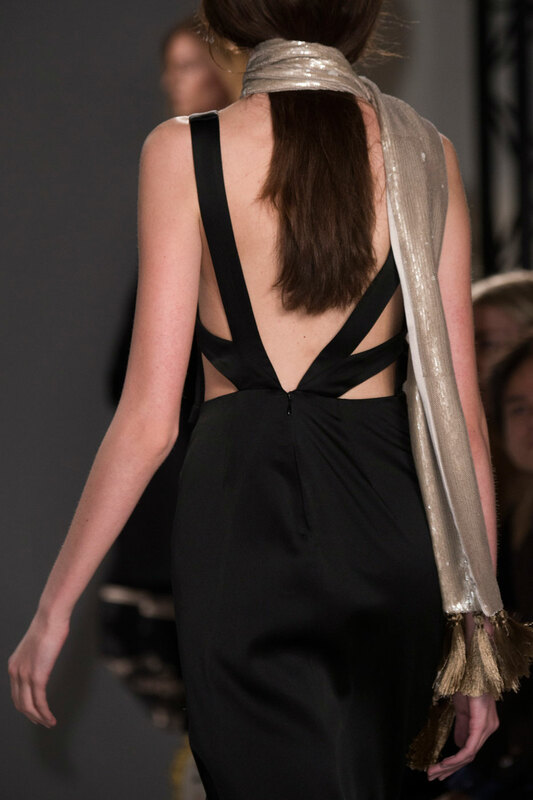 Accessorising all statement looks with long neck scarves and the occasional fur bolero, the Temperley collection ends on a floor-length gold shimmering gown proving that the Temperley woman is one who remains as glamorous as ever.